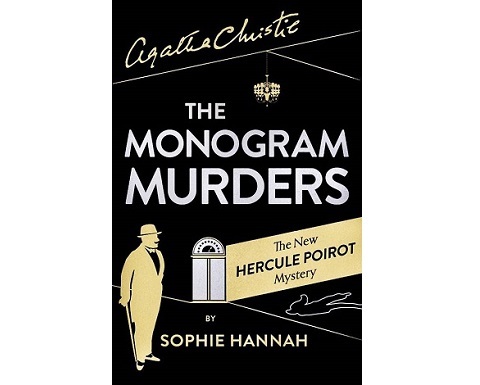 Agatha Christie’s relatives have apparently authorized Sophie Hannah to write a new Poirot story. I do not know what to think about that. After much consideration I think I am cautiously optimistic about it, as long as the characters and Christie’s authorship are treated with respect. First Novel…I assume there will be more? The Monogram Murders contains all the ingredients for a classic Poirot mystery. It starts with a murder where the victim is found with a monogrammed cufflink in the mouth. Poirot gets involved and the solution to the mystery is found after a long investigation with a lot of red herrings along the way. It does not feel like a traditional Christie novel, but more like a modern crime novel. Is that good or bad? I do not know. When it comes to Poirot I am influenced by the TV-series with David Suchet. I have seen every episode and for me David Suchet IS Poirot. But the TV-series differs a lot from the novels, and sometimes it is hard to separate the novels’ Poirot from the one in the TV-series when I compare them to the new novel. I must admit that Hannah has succeeded. The style feels like an updated Christie and Poirot is portrayed correctly. But the storyline is not one of the best Poirot mysteries, but not the worst either. Definitely worth reading!